As the title suggests, this book is an understanding of the Qur’an from within itself. With its first edition completed in 2003, QXP is the most modern and the first ever rendition of the Qur’an done in full public view on our website since day one. For the best possible clarity of expression, suggestions from our viewers worldwide were taken into account every single day. QXP is also the first ever rendition of the Qur’an based on the original Arabic dialect of Makkah (Mecca) in which the Book was revealed to the exalted Prophet Muhammad fourteen centuries ago. 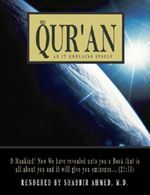 Moreover, QXP gives the reader a very clear understanding of the Qur’an for another very special reason. The Qur’an maintains that the Book explains itself, and, certainly, it does. Therefore, I have used no extrinsic material in this work. Some relevant history has been given within brackets only for the sake of interest and it is, by no means, a part of the rendition itself. Translated and explained in contemporary English, the book is easy enough for a teenager to understand. A book of this kind has never been written before. It took courage to write this book and it will take courage to read it. 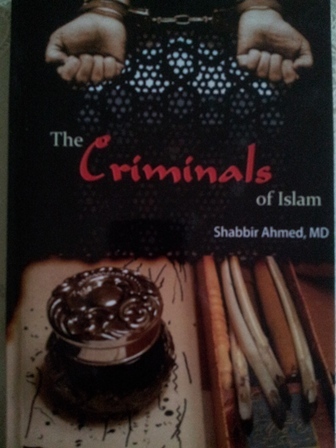 One of our most popular books, The CRIMINALS OF ISLAM unveils the true faces of the revered ‘stalwarts’ of Islam that emerged in the last one thousand plus years. The ‘Imams’, ‘Historians’, ‘Ulema’, ‘Sheikhs’, ‘Sufis’ and ‘Maulanas’, all have made a mockery of the glorious Islam. They converted the beautiful Message revealed to the exalted Prophet into the counterfeit, alien and deplorable manmade Islam as we see today. This manmade religion, as opposed to Ad-Deen (Islam: The Benevolent Social System of Life), is not at all lovable, to say the least. The reader will become enlightened about why and how the once thriving Islam has shriveled into a most miserable state worldwide in the last several centuries. CAUTION: All criticism of the author in this book is directed to the historians, and not at all to the honorable personalities of Islam - The exalted Prophet, Sahaba Kiraam, Hazraat Ali, Fatima, Hasan and Husain, all of whom inspire our reverence and respect. Numerous books have been written in the name of History of Islam during the last one thousand years. But to be accurate, they have been the Histories of Muslims. The difference between the two seems nothing or insignificant, but it is of paramount importance. Like almost all books on histories of nations, the Muslim Histories have revolved around the rulers and their ways. The first ever such "History of Islam" was written by "Imam" Tabari on hearsay alone about 280 years after the exalted Prophet. Historians after him have been blindly following him and repeating him with impunity. "The True History of Early Islam" is probably the first ever work that will attempt to trace the History of Islam. Based on research on numerous well-known to nearly extinct works, it promises to bring to the reader the spellbinding truths for the first time ever. We will attempt to track the journey of Islam and try to see why, how, when, and by whom was the Pristine Al-Islam as revealed to the exalted Prophet Muhammad, converted into the Man-made, Counterfeit, Ritualistic, Alien or Ajami Islam of today. Various great minds have named this degenerate Islam variously. Sir Syed Ahmed Khan of India (1817-1898) called it Invented Islam in 1885. Syed Jamaluddin Afghani (d.1897) dubbed it as The Fatalistic Religion. The celebrated Egyptian scholar Mufti Muhammad Abde Rabbuhu (d.1905) gave it the name Deen-il-Ghareeb (The Strange Religion) around 1900. Allama Sir Muhammad Iqbal (d.1938) termed it Ajami (Alien) Islam around 1918. Allama Inayatullah Khan Al-Mashriqi (d.1965) called it Maulvi Ka Ghalat Mazhab (The Mullah's Wrong Religion) in the 1940s. Going by the modern trends, I have chosen to call it The Number Two Islam in keeping with the name given to the counterfeit medicines. The respected reader should get prepared for a bumpy ride discovering shocking truths in a very unusual format especially as the book progresses. This book will be written with special attention to brevity and clarity. Much of it will particularly focus on the widely accepted 'wrongs' in random paragraphs. 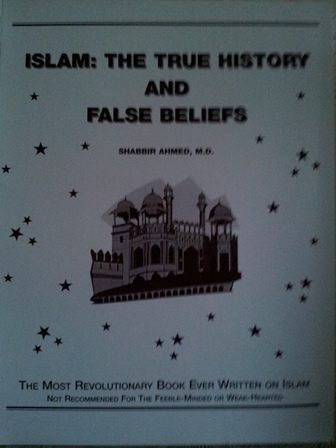 I think the best way to achieve the objective of sorting out myth from reality, and fiction from fact will be to build the book around the most famous story of "Islamic History", i.e. the Story of Karbala. The reader will probably agree with this approach in the end. 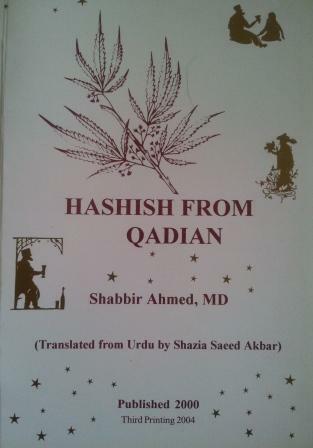 HASHISH FROM QADIAN (BARG-E-HASHISH) - What is the Ahmadiya ‘Movement’? (English and Urdu in one volume). Guard your children against a most deceptive preaching. Mirza Ghulam Ahmad of Qadian, India (d. 1908) claimed to be a prophet and called his cult Ahmadiyat. Know all about Ahmadiyat in this book and be ready for lots of smiles. See what funny antics he had to devise and go through. This book, for the first time ever, and in keeping with the yet unfulfilled desire of the great Allama Sir Muhammad Iqbal, presents a professional psychoanalysis of the deranged man.